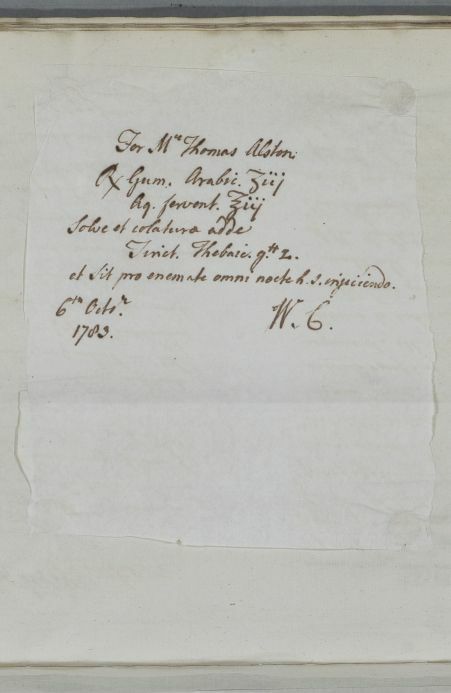 Reply, headed 'Mr Alston' and addressee identifiable as Dr William Hmilton at Glasgow . Cullen believes that 'the case is absolutely desperate and you can have nothing to do but while he lives to keep him as easy as you can.' He recommends the use of opiates: 'you must not be restrained by the fear of fits', and suggests giving them by glyster. 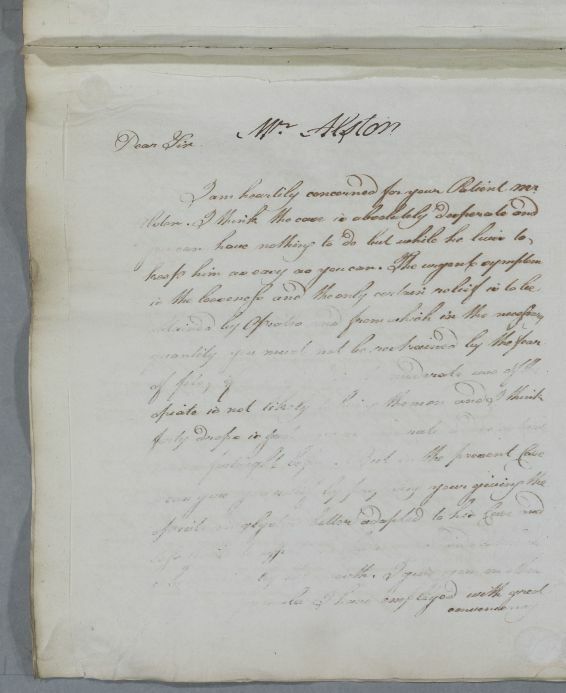 Summary Reply, headed 'Mr Alston' and addressee identifiable as Dr William Hmilton at Glasgow . Cullen believes that 'the case is absolutely desperate and you can have nothing to do but while he lives to keep him as easy as you can.' 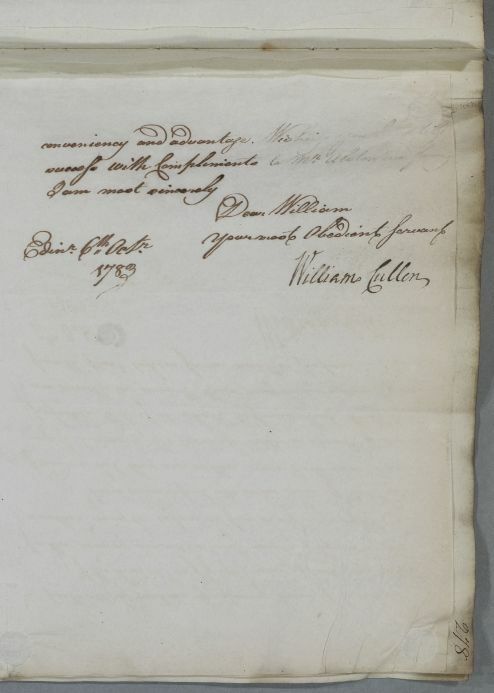 He recommends the use of opiates: 'you must not be restrained by the fear of fits', and suggests giving them by glyster. I am heartily concerned for your Patient Mr.
Take 3 drachms of Gum Arabic and 3 ounces of hot water. Dissolve and to the strainings add 20 drops of Thebaic Tincture, and let it be injected as an enema every night at bedtime. et sit pro enemate omni nocte h.s. injeciendo.